Matthew Kutner brings more than 10 years of experience working with small businesses and the SBA to Q2’s team of underwriters. Matthew’s experience includes roles in business development, portfolio management, and credit analysis. This varied background provides him with a unique perspective into the mindset and needs of his clients, and he welcomes the opportunity to solve complex or difficult lending challenges. His favorite part of the job is helping make small business owners’ dreams a reality. Prior to joining Q2, Matthew was a Senior SBA Underwriter at Oxford Bank where he helped to move the organization forward to one of the top producing SBA lenders in the State of Michigan. In 2018, Matthew’s efforts with the SBA were recognized as Oxford was awarded the #1 International Trade Loan lender in Michigan. 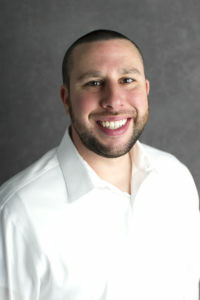 Matthew is a graduate of the University of Akron, holding a B.S. in International Business and Spanish as well as an M.B.A. in Corporate Finance. Matthew lives in the Cleveland, Ohio area with his wife and two daughters. In his spare time you are likely to find Matthew on a soccer field, either playing or coaching. He is the Director of Coaching for Team Challenger FC, and enjoys traveling with his family to tournaments across the country.